Do you need a reliable and cost effective haulage contractor? Have you got bulk goods that need regular transport arrangements? 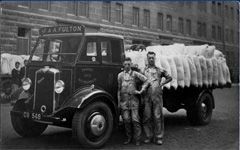 J & A Fulton Haulage Contractors of Kilmarnock were established in 1916 so have nearly 100 years’ experience in the haulage industry. 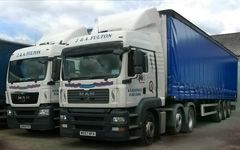 We are a small, experienced company providing general haulage throughout the UK. Our service is of the highest standard. Please call us on 01563 525 505 to discuss your requirements. We are registered with the environmental agency as Waste Carriers, and are members of the RHA (Road Haulage Association). 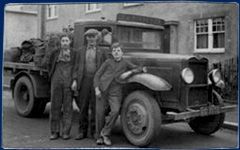 Our trucks are well equipped with all the latest technology and are maintained to a very high standard. 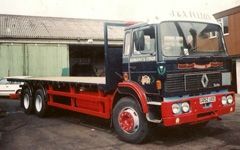 We have trucks to suit all customers’ requirements. Our service operates 5 days a week, from 8am to 6pm Monday to Friday. 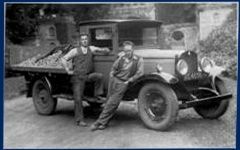 Whatever you need transporting, from local destinations to long distance, we can help. Call us on 01563 525 505 and we will be happy to give you a no obligation quotation and advice if required.